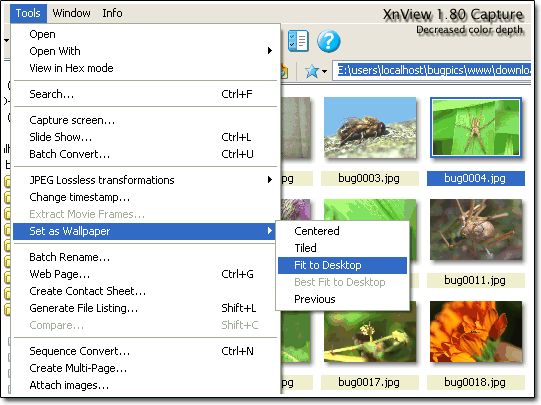 This freeware is an efficient multimedia viewer, browser and converter like ACDSee. You can set a picture as wallpaper in one click. This freeware is avaible in 41 languages. You can find the full version with a lot of plug-ins on XNview site. To set a picture as wallpaper, you just select the picture and use menu Tools > Set as Wallpaper > Fit to Desktop as you can see below.